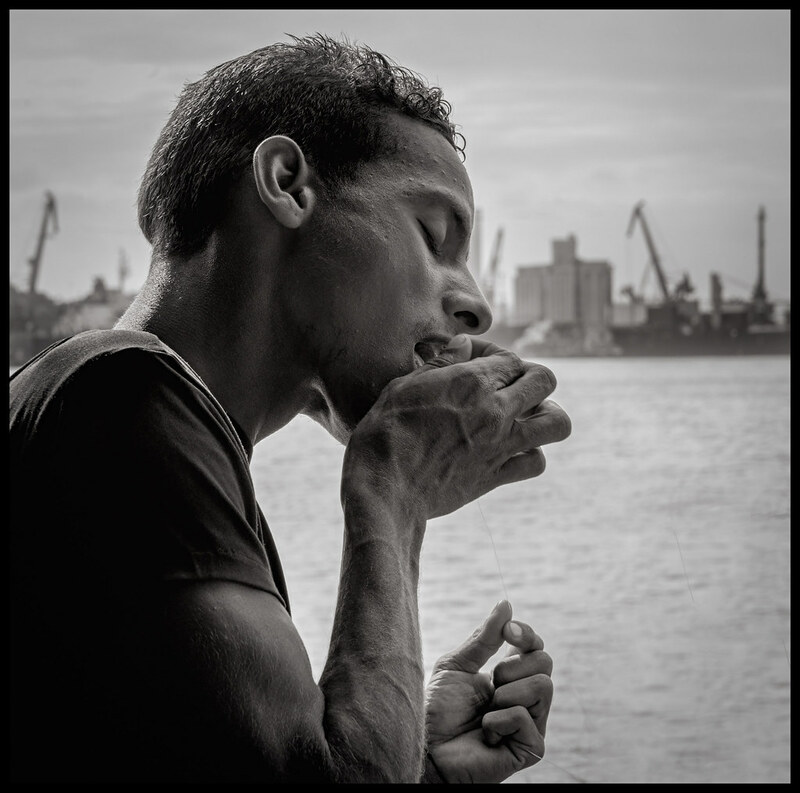 I’ve been trying some new kinds of monochrome conversions – and here’s an example – a shot from the ferry in Havana last January. He was fishing out the side door of the ferry – and working to bait his hook. This edition has a bit of platinum toning in the midtones and shadows. The Fisherman is the first image in my Faces of Cuba portfolio.